Take the right-of-way since you have a green light. 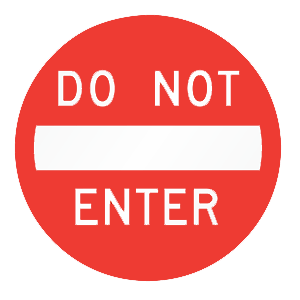 When making a left turn where there is approaching traffic, you must wait for the approaching traffic to go through before you turn. You may enter the intersection to prepare for your left turn if the light is green and no other vehicle ahead of you plans to make a left turn. Obey the same traffic laws. Report accidents resulting in serious injury. 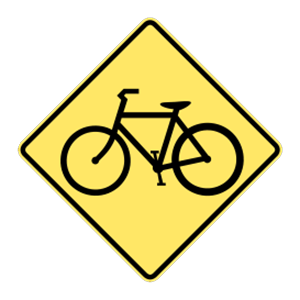 Bicyclists are required to obey the same rules of the road as motor vehicle drivers. Any bicycle crash that causes death or serious injury must be reported to the DMV within 10 days of the incident. Merging traffic is approaching from the left. 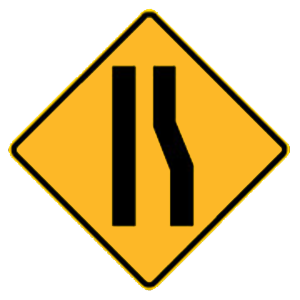 Right lane ends ahead, merge left. This sign indicates that the right lane ends ahead and drivers must merge left.